A Tinfoil Sky - Lis Les Livres- Read Books! 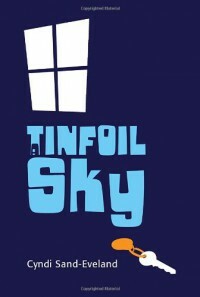 http://lisleslivres.blogspot.com/2012/10/review-tinfoil-sky-by-cyndi-sand-eveland.htmlThis was an interesting read about a homeless girl trying to find herself a home. It was short, but I will admit that for me it was not quick. When I wasn't reading it, I didn't find myself wanting to be. I found the story a bit slow and sad. However, I did like the main character Mel. 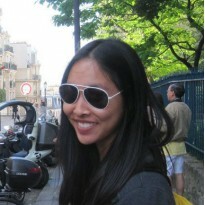 She was just someone trying to find her way like we all are during some part of our own lives. After reading the ending, I was a bit disappointed that it wasn't particuraly happy. Thinking about it now, it would have been too predictable if it were the way I wanted it to end, so I commend the author for taking a risk with the ending. Overall, this was a good book. It wasn't one of my favorites due to personal preferences, it being a little too depresssing for me. I know that this could be a favorite for others, though.